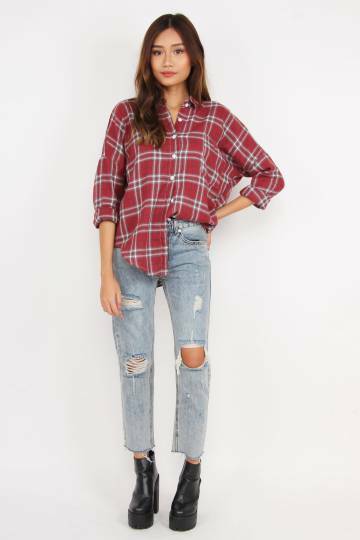 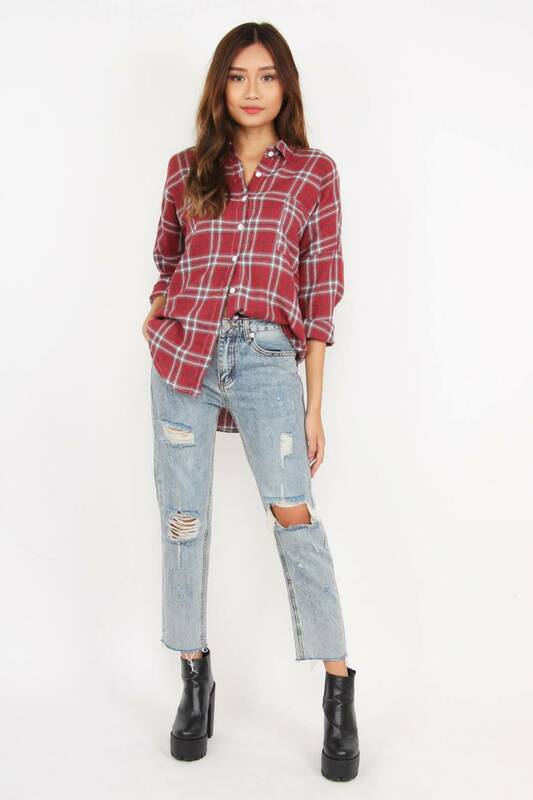 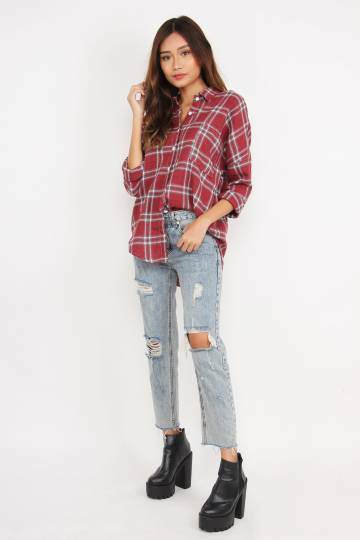 Plaid Game Big Shirt features oversized fitting, functional button closure, long sleeves, front pocket and asymmetrical length. 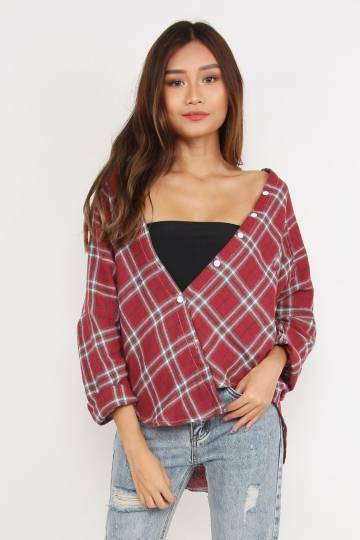 It can be worn as an outerwear too! 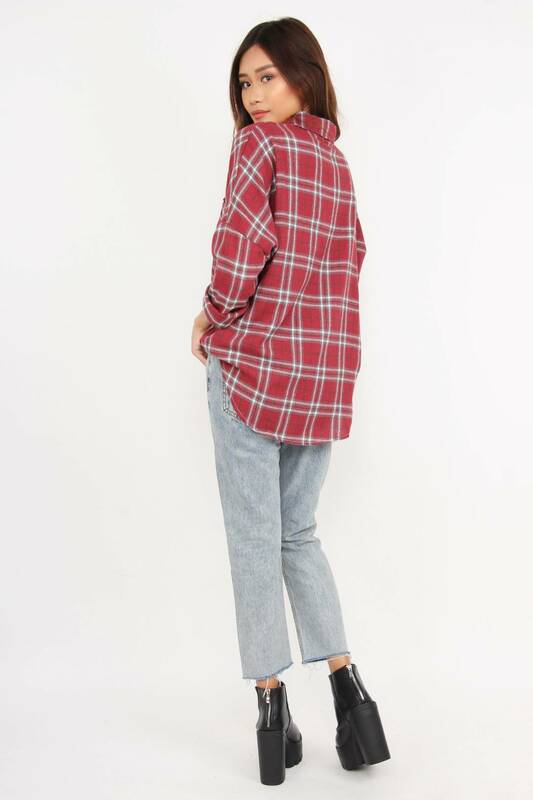 Front Length of Top 27.5"
Back Length of Top 29.5"